[toc wrapping=”right”]List building has always been a great way to make some extra money, to bring more readers to your new blog post or just getting in contact with your fans and followers. There’s a reason why they say “the money is in the list”, because it really is. 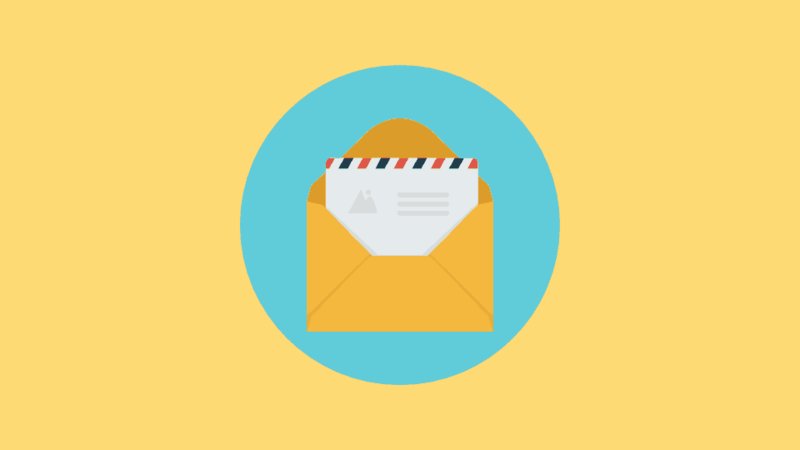 With WordPress, getting your readers email has never been easier. All the tools are here, you just need to know how to use them properly. In this article I would like to show you how you too can grow your email list even faster than ever before, just by adding a few email opt-in forms throughout your blog, while still keeping it nice and clean. There are 16 different opt-in placements possible on your WP blog (and 2 as a bonus), which will be described further below, but please try to refrain from using them all at once. Not only would it create a really bad experience for your readers, it would probably hurt your blog reputation as well. Considering the tools and plugins recommended in this article, I'll assume that you already have a free or premium email marketing solution like MailChimp, Aweber, Campaign Monitor, iContact or GetResponse, and that you could use some more ideas on how to implement newsletter opt-in forms on your blog. All tools listed here are specifically designed for WordPress powered websites (unless stated otherwise), and are a mix of free and premium solutions. Long story short: If you are looking for all-in-one solution with multiple ways for your readers to subscribe then I recommend Thrive Leads. What, you expected more? Well, after trying and testing a LOT of opt-in plugins I can tell you with 100% confidence, Thrive Leads is THE BEST list building plugin for WordPress, period. Check my full Thrive Leads review here to see it in action LIVE with demos of all features. 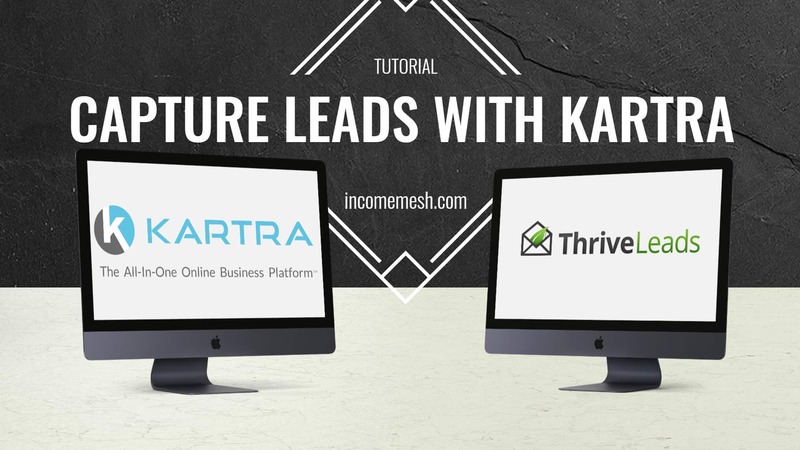 Besides Thrive Leads, a list building plugin you just must have (the only one on the market with this feature) is FeatureBox – this thing alone doubled my subscribers rate. Disclaimer: Some of the links below are affiliate links, which means if you buy some of the products through links in this article I will get a small commission from it. Worry not, this doesn't affect you in any way. It's just a way of saying thank you from the product owners to me, because I am recommending their works of art to you. Always think twice before you make any purchase, decide if that's really the right product for you and if you really need it. You can always come to me for an advice if you are in any doubt. This first one is interesting, it's free and converts like crazy. When you install it, you get a bar (or a stripe if you prefer) at the top of your website, containing a short message of your choice and an opt-in form. It works with all kinds of websites, not just with WordPress CMS, plus it gives you an option to go with just an email + subscribe button, or with a name+email+button. On top of that, if you don’t want to use it to get your visitors’ email address, you can link from it to another website or page (advertising?) or you can point visitors to your social media channels. Oh, I almost forgot. This amazing plugin is called HelloBar. It was created by a marketing wizard Neil Patel and his team from CrazyEgg. Go ahead, download it and put it on your website right away. It’s simple and it works! 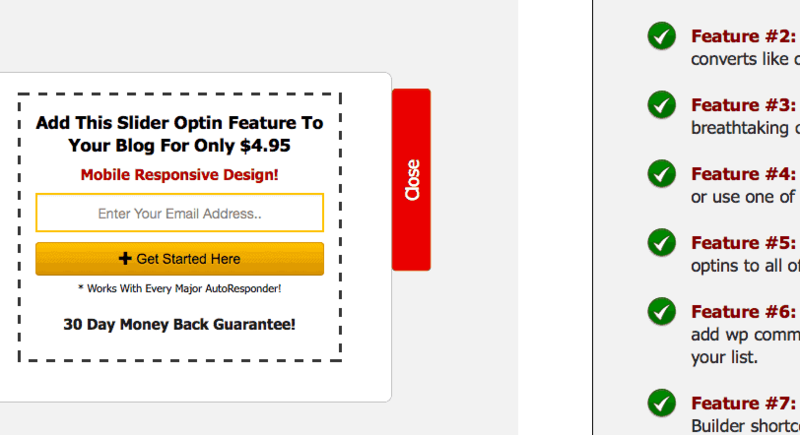 To tell you the truth, I haven't seen many websites that use opt-in newsletter forms in their header area. When I say header, I mean exactly that. A place on the top of your website where you have your logo and menu, and which is shown on each and every page of your blog. I think there might be some Wordpress themes that come with that option, but I really can’t think of any at the moment. Try with StudioPress themes (and their Genesis framework), check them out. Above screenshot was taken from Kim Roach's blog, she uses Headway themes on her blog. I have created opt-in forms in the header for some of my clients a few years ago, and I did it all manually. If you would like to have an opt-in form in the header here are a few directions that might help you. To edit a header.php file you will have to have some basic PHP knowledge. The simplest way to do this would be to find a plugin which offers you to show the opt-in form wherever you want by using a shortcode. 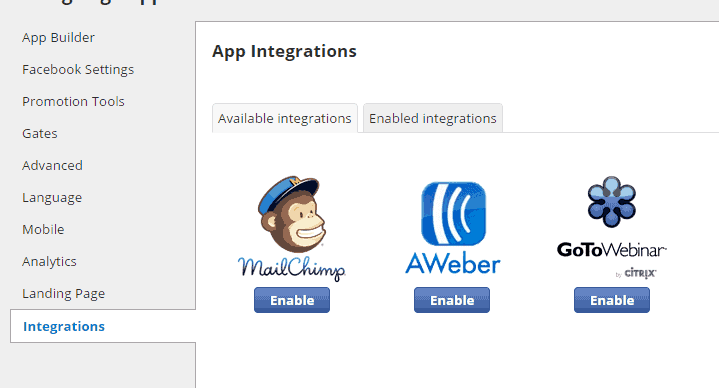 For example MailMunch, MailChimp for WP and WP Popup plugin offer that feature. And that's all you have to do, just be careful, because if you mess something up there, your entire website might stop working. That is why I will recommend you to first try these kinds of hacks offline, in your WordPress blog installed locally on your computer. You could, of course, just leave this to professionals and hire someone on Elance, Odesk or Fiverr, it's up to you. 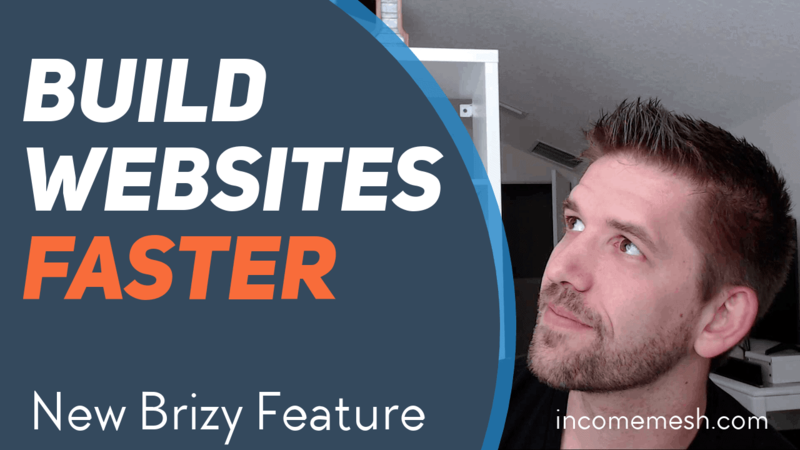 Since your website menu is the most clickable part of your website, it would make sense to put a link to your squeeze page or pop-up opt-in form right in it, wouldn't it? You can just call it Free Report or use your imagination and try something more interesting like “My personal business blueprint”. It all depends on how much space do you have in your menu and what do you want to use as a lead magnet for your visitors. Another cool thing you might try is to change the text or background color of that specific link so that it stands out even more. The possibilities are endless, just be creative and as always, KISS (Keep It Simple Stupid). If you are an internet marketer who follows several marketing hot-shots I bet you have seen this type of email opt-in forms before. For those of you who aren’t, here’s what’s this is all about. Basically, it’s the part of the website, seamlessly connected to the bottom side of the header, showing a product or a person image with a newsletter opt-in form right next to it. You can check how it looks live on Brian Dean's blog. So, how do you get this kind of effect on your blog? At first I thought “Man, this is going to be hard, I would need to hire a WordPress developer to make customized design with opt-in form in it”. But then I stumbled upon this amazing plugin that does everything I just described. It’s called …drumroll, please… Optin Feature Box. Seriously though, despite the obvious name, it's actually a great and cheap solution for everyone out there seeking for this kind of email grabber, so I wholeheartedly recommend you to check it out. 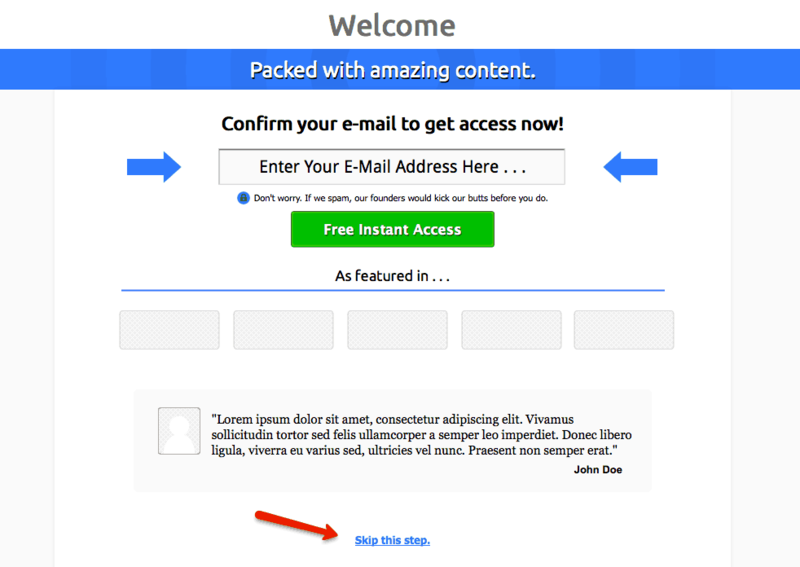 So, why do I think it’s not a very good idea to put your opt-in box above your blog posts? Thinking as a reader, when I come to your website or blog, I came there looking for information, and that’s what I would like (and expect) to see first – text, images or products. Then, if I like what I see, to get to know you better or to get more information, I might give you my email address or simply buy what you’re offering. Because of that reason I have never used opt in forms at the top of my articles, but like I said before, this is just my opinion, don’t take it for granted. Rather test it yourself. Nevertheless, this must be a popular placement option since so many plugins are offering it. The best and most pleasant-looking is probably Optin forms, it’s free and it’s cool, so if you’re looking for one of these, go check it out. First to explain, what the hell is byline and what does it have to do with WordPress list building? Well, byline is a place on WordPress blogs where you can see who the post author is, when that post was written, how many comments it has, and similar, post-related info. It is placed on the top of each article, in order to be visible as soon as you land on that page. The first time I have ever heard of a customized link in WordPress byline was from Bryan Harris’ guest post on OkDork! blog (owned by Noah Kagan) and I was instantly blown away. It’s such a simple and logical thing to do, yet so often overlooked which makes it work like a charm. When was the last time you have saw an opt-in CTA link in someone’s blog byline? You didn't, right? Neither did I, prior to the one mentioned above. It’s still so rare that it works great, so take advantage of that and use it today. There are two ways you can make this work. The first one is to put a link in the byline, which would lead to another page with your opt-in form. The second one is to put a link which would, when clicked on it, trigger a popup opt-in form (the so called, onclick popup). I hope I don’t need to explain you how to pull off the first option, it’s really simple (if you know basic HTML). The other one however, needs some work. Tip: You can find your byline info in single.php file of your WP theme. So far, I ‘ve only found two WordPress plugins (looks like I have found another one, so that's 3 in total, check other alternatives section below) that would allow me to use popup feature when someone clicks on the link. One of those is called LeadBoxes, a feature of LeadPages. It's a premium solution which has become very popular lately and you have probably seen it on many internet marketing blogs like this one. There is no catch, BUT, it’s not cheap and you have to pay for it monthly (subscription based model). On the other hand, you get a lot of other useful tools from LeadPages, so it’s still a really good deal. Of course, I couldn’t resist trying to find a free solution. And after so much Googling and testing I have found just ONE plugin which would do that. It’s simply called WP Popup Plugin. Not really the finest looking option but I was primarily focused on its onclick popup function. WP Popup Plugin not only has it, it also works like a charm. I have edited WP Popup Plugin's design so that it looks really nice, similar to LeadBoxes from Lead Pages and it even works on mobile devices. You can see it in action by clicking on my byline link on the top of this article, you can even click on the green image in my sidebar on the right. either one will open a popup (don't forget to subscribe). And for you guys, I have decided to give you this modified plugin (only modified design wise) completely free! It's right below, you just need to do one of the following social actions. Download your LeadBoxes alternative here. Remember, I am not the plugin author, if you have any problems with the plugin try asking for support here. Also, I take no responsibility if something goes wrong with your website. I am using the same plugin I am giving you here on IncomeMesh blog (powered by WordPress 4.0). Oh, just one little thing…. Since I am not the author of this plugin, once an update is out and you decide to update it through WordPress, my design will be overwritten. However, I will still update it regularly so that it is always updated to latest author version, for your safety. The thing is, only my subscribers will be notified about it and only my subscriber will get the latest version, so make sure to subscribe to my list otherwise you’ll miss any future updates. This optin form above is actually a real form, I have manually put it there, feel free to subscribe 😉 I don’t know why, but this idea of putting an opt-in form within a post never occurred to me until recently. I was doing some customizations on a WordPress blog for a client, and I saw that she was using Optin forms plugin for list building. Nothing special here, I heard for OptinForms before and planned to test it anyway. While I was setting up OptinForms I noticed that it has a feature of showing opt-in forms within a blog post! Wow, what a feature… and the best part is that it’s free! I didn’t need to look any further, I’ve been using it on this blog in every article since then! It even gives you the opportunity to use a shortcode and put your opt-in form anywhere in your blog post both automatically and manually. Also, you can exclude specific pages or posts, change its design and many other things. I really recommend you to check it out. Now, this is one of my favorites. I like to put myself in the shoes of the reader when I visit some blog. If I came to read an article like this one and I am thrilled about it, I would probably want to read more articles from that same author. So, after I finish reading this great article and I see an opt in form box right below it, I will probably subscribe. That also works very well from my own experience. Some will find this method of getting new subscribers spammy or tricky at least, but I find it pretty smart. If you have a user that is already willing to take action – write a comment – why not let him or her easily subscribe to your list, since they are already writing their name and email for the comment? Why not, indeed. I’m not the only one who thinks that way, that’s why there are quite a few WordPress plugins out there which does just that (and more actually). You can add your “Subscribe to my newsletter” checkbox not just to your comment box, but to any form on your blog (e.g. to a contact form on your contact page or even a registrations page). The one I use on this blog is called MailChimp for WordPress. Unfortunatelly it’s only for MailChimp, but I will find some alternatives for you below. Most of the times you see a footer opt-in box will probably be on some serious business websites where that same newsletter registration box is blended into design instead of being distinctive. Why? Because it’s unintrusive, it’s just sitting there, not forcing but offering you to subscribe, it’s more like a space filler. If you subscribe, that’s great, but whoever put it there doesn’t seem to care if you don’t. To a certain extent I agree with that tactic. 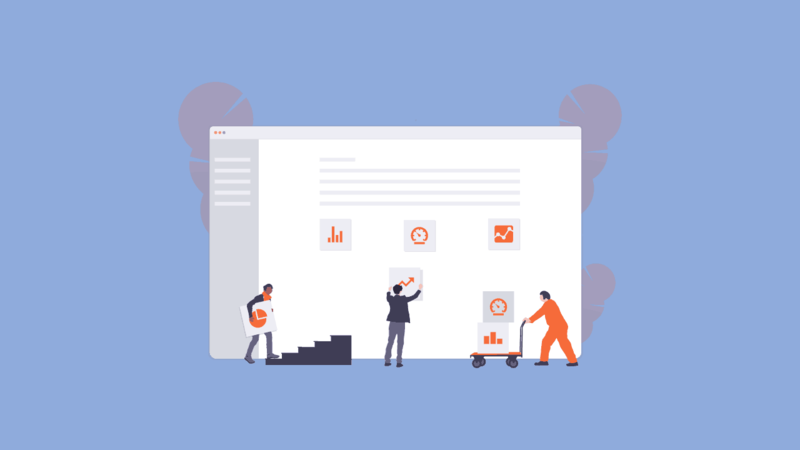 When you put something in the footer, or even below the fold, it will have less impact on users than the other stuff obviously shown on the top or within the rest of your content. I mean, who looks at the footer, ever, right? True, but that doesn’t make it useless. Especially if you are one of those serious business owners mentioned above and looking exactly that – a WordPress footer opt-in form. Actually, since most of the WordPress themes have widgets in the footer, you can practically use any opt-in plugin for WordPress which can be used as a widget (99% of them). I have picked out a couple of them for you, just so that you don’t have to waste any of your time looking around. Also, there is another thing called footer bar. It actually isn't in your footer, rather sitting at the bottom of your screen just like shown in the image above. I find that to be pretty cool since it is always visible and not getting in the way of your content. I saw something like that for the first time many years ago at John Chow's blog, but today I don't see it as much on other blogs as I did back then. Supports these email/newsletter providers: AWeber, MailChimp, MyMail, GetResponse, Wysija, iContact, Constant Contact and many many more. WordPress sidebar is a widget heaven. You can put there everything you want, from plain text, images, latest blog posts and recent comments to opt-in forms. I like to use sidebars from many promotional things, but opt-in forms are my number one choice. There are few things I recommend when putting opt-in forms in WordPress sidebar. First of all, put it right at the top. Let there be the first thing your visitors see when they come to your website (together with your main content of course). Second of all, use the sticky widget plugin to make your opt-in form visible at all times no matter how far your users scroll down. 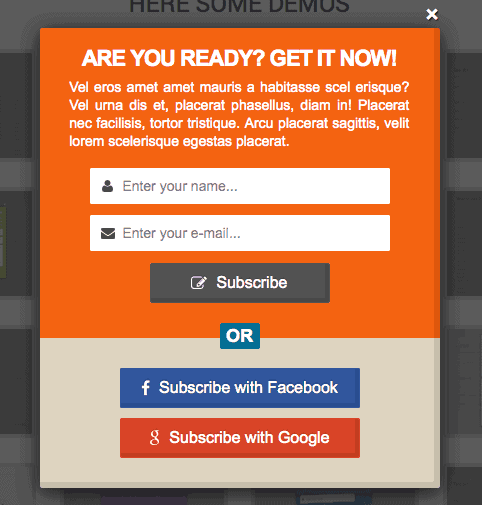 Now, let’s see what are some of the best options for your subscriber form within the sidebar. This one is not really new but still not as widely used as you might think. A chance for you to become one of the rare websites that use this method? It sure is. So, a welcome page is a page which is shown to a user before he gets to see the article for which he came to your blog in the first place. Perhaps it's a bit intrusive, but it comes with a great benefit. Welcome page is not mean to be a long page, rather a short one, with few key features shown right away, getting straight to the point about what are you giving to your readers in return for their email address. Plus, of course, the inevitable opt-in form below or next to it. Very important part of each welcome page is a link to your blog/article. Not everyone will want to subscribe, so there must be an easy way, and a very visible option (link) for your users to proceed to the article, for which they came anyway. 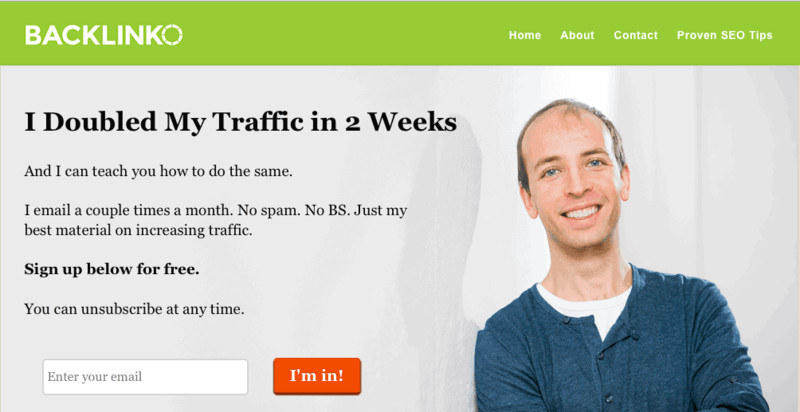 You can see a good example of welcome page at Noah Kagan’s blog or at Kim Roach’s BuzzBlogger. That plugin was actually created by LeadPages and mentioned on their blog, so you can read more about it there if you are interested. Knowing LeadPages, you could expect this to cost you something.. Nope, this one's free! When I thought of what to write about WordPress popups, it instantly put a smile on my face. 😀 That is because, as you probably all know, there are so many popup plugins for WordPress that I could write a separate blog post on popups only (like many have already done). That’s why I’ll keep it clean and short and give you only the best and most useful popup plugins for WordPress. I wasn’t sure whether to include this under regular popups mentioned under number 13. or talk about it separately, but, since this is one really cool feature that many of you guys will be looking for specifically, I decided to give it its own introduction. Definition: Exit pop-up opt-in form is a popup form triggered by a user moving away the mouse pointer from the page (assuming he/she is looking for an “x” button to close the page/tab). This is it – your last chance to grab that potentially forever-gone reader. If you have an offer they can't refuse and you saved it for the last moment, here it is. Play your cards right on this one and you just might turn the tables, converting that almost-ex-reader into a happy subscriber/customer. This used to be an all-premium option some time ago, but today we have PopupAlly, a free WordPress plugin that allows you to create advanced popup sign-up forms within minutes. Supports these email/newsletter providers: Aweber, MailChimp, MadMimi, iContact, GetResponse, Infusionsoft, Ontraport, and any other email marketing systems that provides HTML opt-in code! And classy it is, indeed. You scroll down the article and suddenly nice newsletter box slides into your screen giving you some high quality incentive in return for your email address. Why do I like it? It’s sleek, nice, not very intrusive, it doesn’t go over your content and it grabs the readers eye (it’s moving). Oh yeah, and it works too (proven), I use it on few of my other websites. The most popular plugin, which some of you have probably heard of, or are even using, is Dreamgrow Scroll Triggered Box. A user reads your article, goes half way through it and then..nothing. “You can read the rest of your article by registering/subscribing below” message appears and the user, probably frustrated, goes away. I can imagine a scenario similar to that happening, that’s why I believe this is the worst way to build your subscriber list. Unless you run a membership site you could get away with this but, here we are talking about list building on regular non-membership websites. Other possibility for this might be that you have some bonus or a gift for your user and you want to give it to them only if they subscribe, that would be a smarter thing to do if you ask me. I came across this kind of sorcery just a few months ago on Metal Hammer (yeah, I’m a metalhead), while reading some news. The title was something like “Listen to the new song from Band’s name latest album Album title” and I clicked my way through from Facebook to hear it. There was a short text and a notification to register in order to read the rest of the article (and to hear the song in this case). Man, was I pissed! But I registered anyway. Then it occurred to me that this method could be used to get emails on WordPress powered blogs, too, although I wouldn’t recommend using it unless you a have very thorough plan behind this action and very good reasons to tease (or torture?) your readers that way. Be sure to give them something really valuable and unique. However, I have managed to find a few plugins that will do everything as described above, in case you were looking for something like that. Supports these email/newsletter providers: MailChimp, AWeber, GetResponse, iContact, Campaign Monitor, Mad Mimi, Benchmark, Sendy and MyMail. I haven's seen this feature a lot, but is so cool. Basically it's a small “button” on the side of your screen which, when you click on it, triggers a popup or just reveals an opt-in form on the side. Cool ha? There are few tools that can help you do that, check them out below. Sorry about that, I see so many bloggers using LeadPages these days that I am already a bit tired of it (since they all have that specific look and style, you can recognize them from a mile away). But don’t be fooled. LeadPages are great, they wouldn't be so popular among professional bloggers and marketers if they weren't. And here’s another reason why they stand up from the crowd. Have you ever seen an opt-in box inside of a video? Me neither. At least not until guys from LeadPages popularized it. The first time I came across it was at Matthew Woodward's blog. The story goes like this… You are watching some supa-dupa uber (self-hosted) video tutorial and at some point the video stops, offering you to subscribe to the newsletter. You can then choose between continuing your video and subscribing. One way or the other, some action is required. 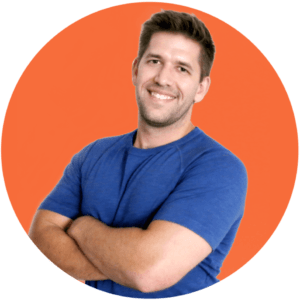 I am not a LeadPages customer so I don’t know if, and how well it works, but, judging from what other bloggers are writing about it, it sure seems to do a good job. First I thought, why would I want to give my readers an option to subscribe with their Facebook, Twitter or Google account? Well, it seems that these plugins are allowing users to “subscribe” (actually to log-in) with their preferred social account and then their email address (which they use for their social account) is being taken to your email provider. That's my guess, haven't tried it yet. Ok guys, now we are getting serious. This feature is not that often seen among WordPress plugins, but it is spreading very, very fast. And because I follow WP opt-in industry (you're welcome) I wanted to keep you up to date and give you few options right here in this article. Have you noticed that everyone is hosting some kind of webinars these days? Wondering why? Because it works! 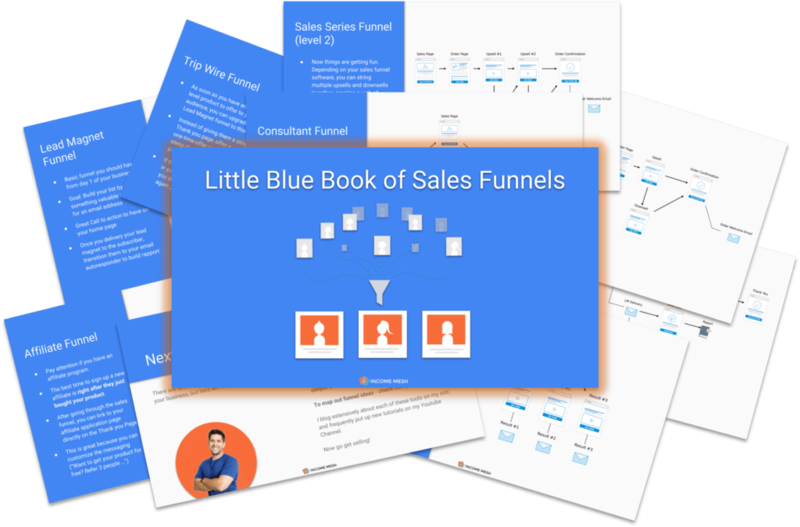 Webinars are great for lead generation and sales. I have attended a lots of them and on each and every one of those at least dozen of people would buy something. And you know what, some of those webinars would have hundreds of people attending. I'll give you once shot to guess what happened with their email addresses… Got it? That's right, they have all become a part of someones newsletter list just by registering for the webinar. Now you can do the same, check the links below to find your perfect pick. This is one of the most underrated methods used in list building but it is so damn effective. If you are not using content upgrades (I'm working on mine as we speak) you are just crazy. They can skyrocket your subscriber list like instantly. Here are some links below that can help you automate opt-in baiting. Don't know what content upgrade is? It's basically additional part of your article which gives it even more value. It can be a video, PDF or any other kind of a files. If you don't react in the next 30 seconds and buy some opt-in plugin from this article this whole website will disappear! Urgency, it just works. It works on sales pages and it can be implemented in your list building strategies too. And I am not talking about squeeze pages, I am talking about countdown timers in your popup forms. Create urgency and get higher conversions. Check some of the links below and see if there's anything good enough for you. I didn't even know this thing exists but I am so glad I have found it. Let me give you an example of how can this be useful. I am promoting one affiliate offer which got me almost 100 sign ups so far, but, the problem is, I made just pennies from it. That affiliate program is so bad (for me) but it converts so bad (it's a free hack). And imagine how many email signups could I've got if I could somehow collected email address every time they have clicked that link, right? Now imagine how many links do you have on your websites that are pointing to other websites? I think I said enough. Check the link below if you interested in this kind of sorcery. Imagine if you could put my picture inside of your popup with my quote telling how your opt-in freebie is so cool and useful, your conversions would be crazy high. Jokes aside, testimonials are always a great deal to have, whether on sales pages or even opt-in popups. Social proof is providing amazing value to anything you offer. Now you can use it even within your popups. Check the link if you want to use them on your popups too. Free giveaways and contents in exchange for email address are becoming a huge deal. I personally know people who have generated thousands of email subscribers (leads) in a matter of days. At the moment I recommend only one plugin for WordPress to do that, read more about it below. And the last but not the least, I present to you, the KingSumo Giveaway WordPress plugin. 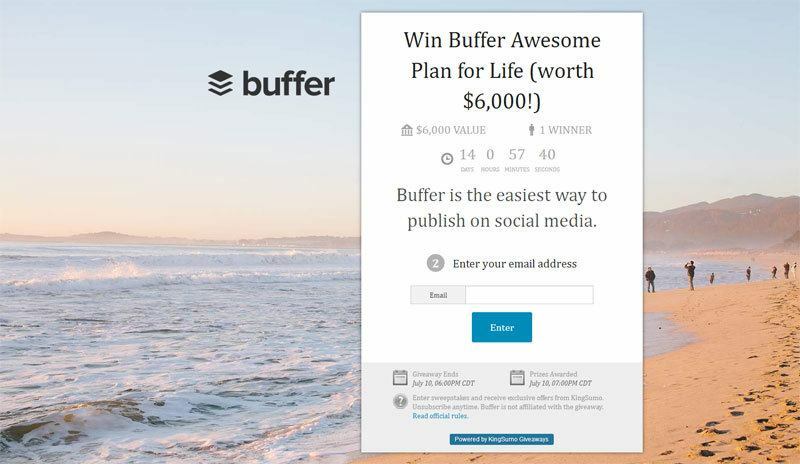 This plugin helps you create a giveaway contest while collecting email addresses and making your giveaway go viral at the same time. I haven't had the chance to try it out yet, although I will do so in the next couple of weeks. From what I've read online, I can say with no doubts that this is huge! People have managed to get hundreds, thousands and even tens of thousands email subscribers in a relatively short time span. It largely depends on what you are giving away as a prize (new iPhone 6 will get you more leads then some marketing book for sure), but the rest is all sorted out /in the plugin. You have a powerful tool in your hands and may I suggest that you use it “wisely”. For example, if you are a marketing blog, don't give away the new iPhone 6 as a prize, since that will attract too many non relevant user. But if you give your users something relevant, like a 1-year (or lifetime) access to some premium and popular marketing tool, your audience will go crazy for it and your list will be super relevant to your blog. My absolute favorite is Thrive Leads (check my Thrive Leads review here). But if for some crazy reason you don't like it, than check Bloom and PopupAlly, as All-In-One premium solutions. After you decide and buy one of those four, I still recommend that you get another one, which just blew me away – FeatureBox. That plugin alone has double my list of subscribers. Exclusive Bonus: Download this article in printer-friendly, easy to digest, Google Spreadsheet which you can save, edit, sort and preview a lot quicker than this article. You have many options here, but it all comes down to what you need. Most paid plugins have a free option too, so try few of them and then decide what's your favorite one and stick with it. And there you go, that’s a list of all WordPress placements for your blog with best recommendation on plugins. I've probably missed a few plugins, I might have even missed a placement for opt-in forms, that’s where you step in. Tell me in the comments below what your favorite opt-in placement and/or WordPress plugin is. Share your experience on the ones that work best for you. And please, don't hesitate to notify me of any mistake that I might have made, or of any information provided in the article that might be wrong. If you happen to know of a good opt-in plugin share it in the comment and I will add it to the article. Do keep in mind that, when choosing the best plugin for your opt-in form, good support is also very important. When things go bad, especially if you paid for a plugin, you need to be sure that someone is here to back you up if something goes wrong. My intention here was to make this article an all-time favorite for everyone looking to implement some sort of opt-in forms on their WordPress powered websites. I know from my own experience that whenever I need something I have to waste my time searching on Google and testing many plugins. Let’s stop with that all together and save our time. Put this blog post into your bookmarks, share it on Twitter, Facebook, LinkedIn and other social networks and your friends and colleagues. November 13, 2014. – WP Subscribe Pro added under opt-in placements 5, 8, 11, 13 and 14. Also, fixed all grammar and spelling mistakes. Wow Drazen. Great information and recommendations. Very well explained and easy to understand – for someone who is not technically inclined, like myself. Thank you so much for sharing these resources. Really great post, man. I’m still working on the best optin choice. I’m using the SumoMe app with the pop-up and scroll down optins, which I noticed you have on your page, even though you recommended DreamGrow. I also had the top bar SumoMe app activated too, but it seemed like too much and deleted it. Sumo needs to just release one all encompassing optin app instead several that ultimately do the same thing just appear in different spots on your website. It is possible to over-optin form your site? Hey Tim, thanks 🙂 Yeah, SumoMe is really great. I tried DreamGrow on IncomeMesh but it ended up crashing up my site for some reason :/ I guess I should change that part and recommend SumoMe instead. Different placements have different effects. Not all people like popups, so I suggest you to test a bit and find what works the best for you. Over optin? You mean having too many opt-in forms on your website? Yeah, it sure is possible 🙂 But I think popups are the ones that can have the most negative effect on your readers, on one hand, but also they are the most effective (conversion wise), on the other. I think that option “Do NOT show the popup to the same visitor again until this much time has passed.” is important so that you don’t show your popups too often. I have set it up to 14 days, you can go with 7 days (or more – less), just don’t don’t set it to show each time they visit your website, because that really becomes annoying to readers. Hi Marco, great discovery, I’ll add it to my list! Thank for this extensive list, great resources! One of my goals this year is to build my email list and it looks like this round up is a great place to start (and finish, no doubt). Pingback: Income Report - March 2015. Pingback: How to Make Money Online in 2015. I’m sure your readers will enjoy it too. I was researching list building plugins and came across your article. Thanks for such a comprehensive resource. It’s my go to page for list building now. I’ve just implemented Thrive Leads on my website. I’m thinking of getting Plugmatter’s optin feature box for my home page. But can’t I do this with Thive Leads? I’m thinking of constructing a home page in wordpress and adding a Thrive Leads in content optin form. I would rather stick to one plugin for all my listbuilding for design consistency. I’ve added your post to my buffer to be tweeted out tonight! Well, since recently Thrive Leads added an option to insert their optin forms into templates with PHP code (which they provide), so technically yes, you could do that. But, the placement of the form, to get it where you want it to be, would probably require some more coding. If you jusr want to put optin forms within you content (blog posts and pages) that’s easy to do. FeatureBox is built with one purpose, to do one thing, and they are easier to implement. Think about all options before you decide. If you already have Thrive Leads play with it a bit and try to create something similar as feature box with it. Great article with so much information. I’m looking for a free plugin that will not show popups to current subscribers. Having a hard time finding one. Any suggestions? Good question and would for sure be useful to have something like that. I have found two, but they only work with content lockers, tracking subscribers by a cookie. Unfortunately most of premium plugins don’t have that feature. 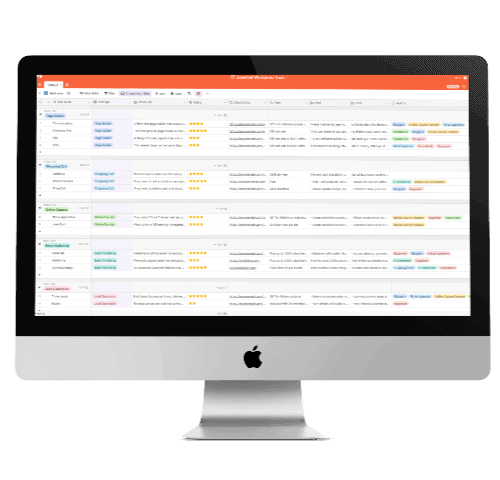 AUTOMATE YOUR BUSINESS with my FREE DATABASE of tools for bloggers, agencies, and you.